We were the first to introduce Zalto glasses into the UK in 2011 and these are now well established in the UK. 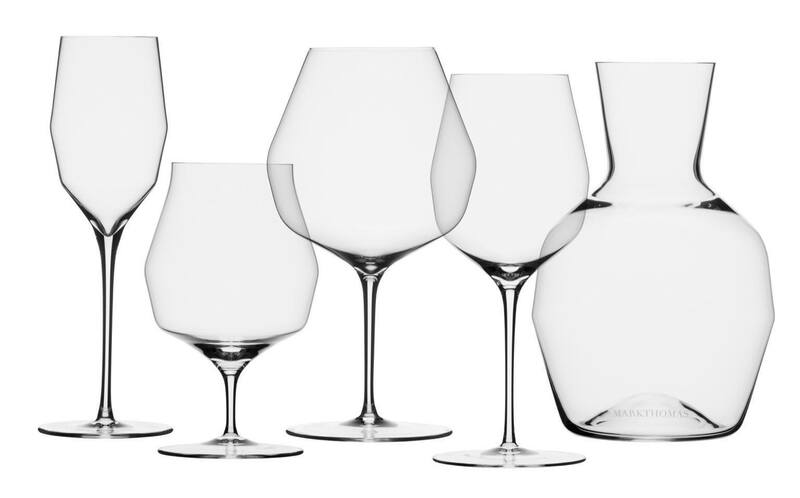 We have recently been introduced to another glass manufacturer from Austria and we just couldn’t resist the unique design of their “Double Bend” range and we are therefore now offering them instead of Zalto glasses. They are also around 20% cheaper! The 500ml MT-DB Allround glass has a conical base, designed to accommodate small tasting pours and make it easier to swirl the wine. The glass then bends and widens to allow the wine to breathe, before a second bend narrows it sharply to concentrate aromas. Mark Thomas director Thomas Zichtl says that its design aerates the wines just as well as much bigger glasses, while the double bend brings in additional stability due to a different stress ratio on the glass. As to be expected, the glasses are hand-blown from lead-free crystal to create an ultra-thin and feather light product with a retail price of £23 each for a box of 6 or £29 each in a box of two glasses – ideal for a his and hers gift. Like Zalto glasses they are dishwasher safe and will not eventually stain because of their lead-free content. In the same double-bend design, a larger red wine glass, (880 ml. – £156 for 6, £64 for 2) speaks volumes for a fine red wine experience, a Champagne glass, (240 ml. – £138 for 6, £58 for 2) exudes elegance and can also be used for sweet wines, a beer/water glass (470 ml. holding an American rather than a British pint – £138 for 6, £58 for 2) and a 1.5 litre decanter (just right for your magnum of ’47 Petrus – £60) complete the range. These exciting new shaped glasses are delivered free of charge to UK customers directly from the factory in Austria. Prices include UK VAT. For customers outside the UK, please enquire about delivery costs.